You are currently browsing the tag archive for the ‘lunar’ tag. What with all of the holiday excitement, we have failed to compliment the Chinese Space Program on their successful lunar landing. On January 3rd, 2019, the Chang’e IV spacecraft landed on the South Pole-Aitken Basin, on the far side of the Moon, and deployed the Yutu-2 Rover. Here is a stunning photo taken by the rover as it began its explorations of the lunar surface. The spacecraft is, of course, named after the beautiful and sad Chinese moon goddess, Chang’e. 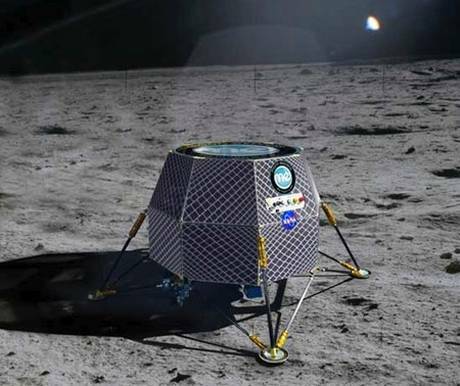 To quote the Smithsonian magazine, “[the Chinese lander will] collect mineral and geological samples of the moon’s surface as well as investigate the impact of solar wind on the moon. The craft even has its own little farm, or lunar biosphere, aboard—the first of its kind.” This miniature ecosystem consists of some potatoes, a few Arabidopsis plants (this is a hardy and universally known laboratory plant), and some living silkworm eggs in a special 3-kilogram (6.6-pound) aluminum terrarium (or lunarium?). I realized as I write this that I don’t even know the Chinese Space Agency’s name. It turns out it is the Chinese National Space Administration “CNSA.” Their logo, immediately above, is a flying blue chevron with, I don’t know, blue wheat, or something–it looks like somebody mimeographed the Federation logo. But who cares about their logo? [cough, Chinese space administrators, you could hire a graphic artist to make a space phoenix, a rocket tiger, or galactic dragon or something for about ¥150.00 and outshine everyone before you even leave the pad]. The CNSA are now doing things which have never been done. This is the first landing on the dark side of the moon (which is not really dark, but which goes by that conceit since the moon is tidally locked). United States triumphalism over our amazing moon program has obscured the fact that the first moon landing happened 50 years ago. Nobody has been on the moon during my lifetime, and I am not young. 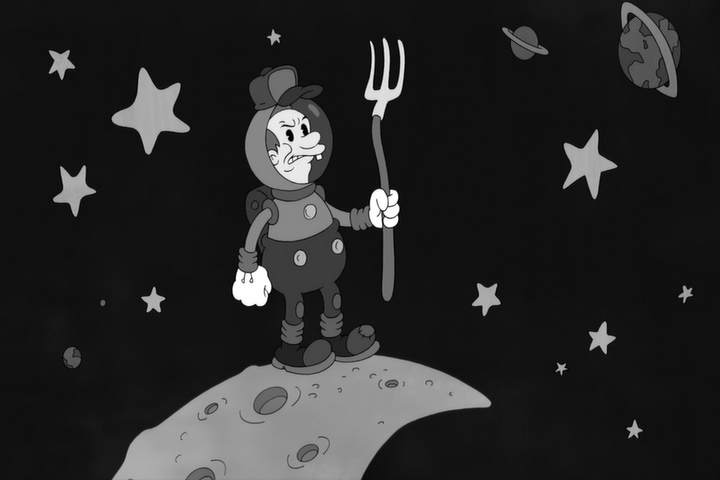 NASA has responded to budget cuts and whiplash conflicting demands from different presidential administrations by concentrating on robot probes of the unknown edges of the solar system. That is smart, practical, and amazing. Yet some of the thrill and prestige that NASA had even during its silver age in the eighties and nineties is now wearing away. Of course America doesn’t even really have a functioning government right now, so perhaps it is better that we have decided to abandon our own bright dreams of moon bases and Mars missions…but it saddens me that we are so politically deadlocked that we are not pushing harder to explore and build in space. All day, every day, billionaires tell us how scarce resources are and how much better the private sector is at allocating these precious resources (to super yachts, offshore bank accounts, and regulatory capture, apparently). Well, resources are not scarce in space. There is infinite real estate. There are whole planets worth of matter. There are wells of energy which create all of the energy humankind has ever used throughout all of our history within a picosecond. Hopefully the brand new accomplishments of CNSA will remind the American people of our true nature–as scientists, explorers, and visionaries. 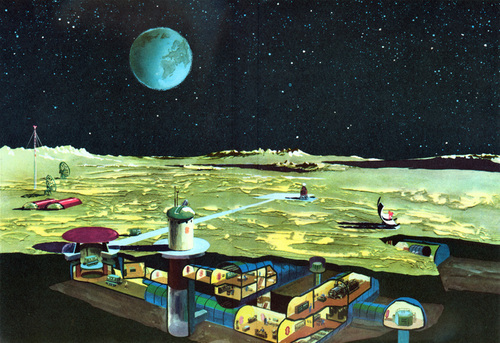 However if we are too fixated on the crimes and inanities of Individual Number 1 to pay attention to the universe, maybe the Chinese can build a floating colony on Venus. I, for one, am looking forward to seeing what they have planned next. Today is a special day! Not only is it the Autumn Festival (Mooncake Day), a lunar harvest (and moon-viewing) festival celebrated by the Chinese and Vietnamese. It is also the last “supermoon” full lunar eclipse for the next 18 years. 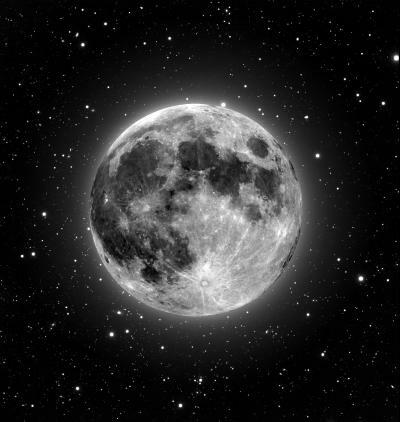 A “supermoon” happens when the moon is at the closest point in its orbit around Earth. From Earth’s surface (where most of my readers live) the moon thus appears 14% larger and 33% brighter than other full moons. 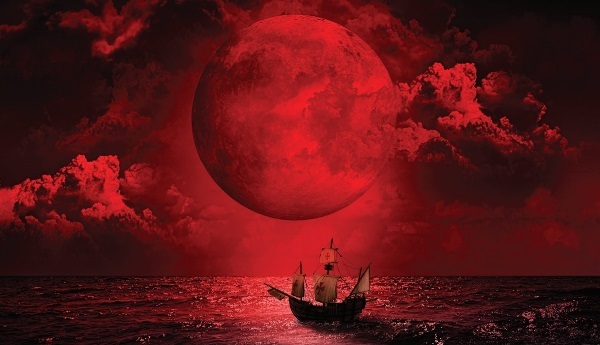 When such a supermoon is eclipsed by the shadow of Earth, the event is known as a “blood moon” by imaginative neopagans and by fundamentalist Christians who hope the world will end soon (and by bloggers desperate for hits). The blood moon designation comes not just because of cultists’ violent fantasy, but because the moon takes on a red tinge during the event. Bloodmoon eclipses are rare and there have been none for 33 years—then suddenly four in short succession: tonight’s eclipse will be the final of the batch. I missed the last bloodmoons thanks to clouds and scheduling mishaps…and who knows what I will be doing 18 years from now (hopefully showing beautiful paintings in a fancy gallery or directing cyborgs on a floating city above Venus…but probably decomposing or still working as a lackey in title insurance). 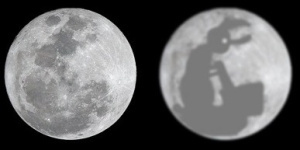 Tonight’s event begins at 9:07 PM EST and maximum umbra (“shadow”) occurs at 10:48 PM. I baked a turkey and made an almond pie for the celestial event (although dark clouds are already swirling on the horizon). Hopefully some of you will join me on rooftops, observatory turrets, and in special moon-viewing pavilions to watch the celestial show! 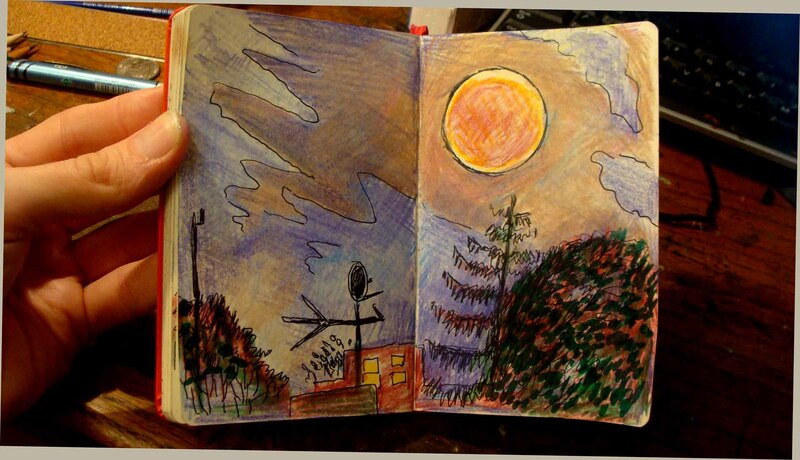 Update: Here is my drawing from the roof…it’s really hard to draw in the dark! 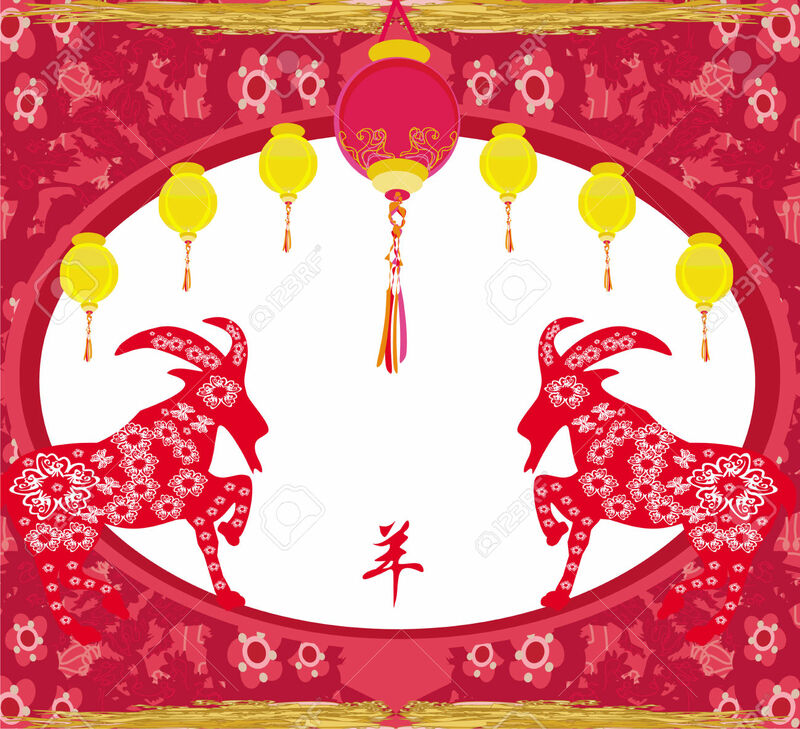 Today is Chinese New Year! 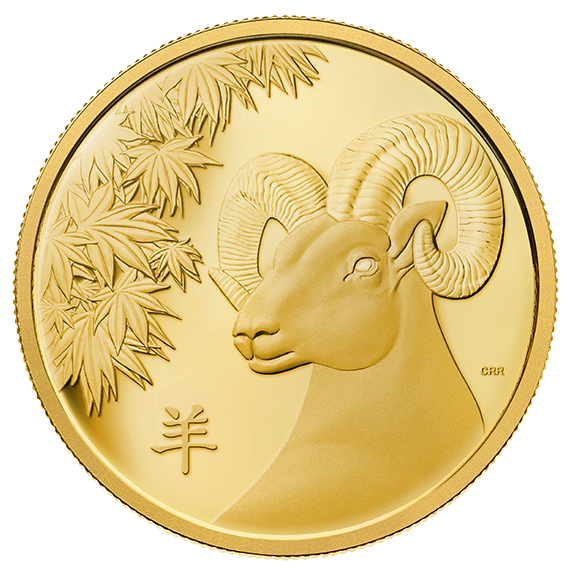 Happy Year of the Ram! This is a controversial zodiac year—at least during this era. 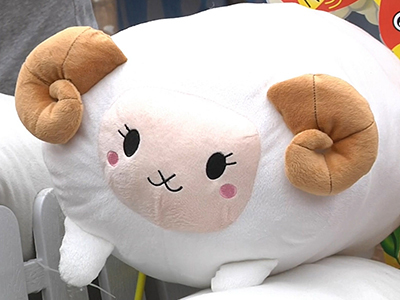 For one thing, it is unclear whether the ancient Chinese character representing this year’s zodiac sign should be translated as ram, sheep, or goat. 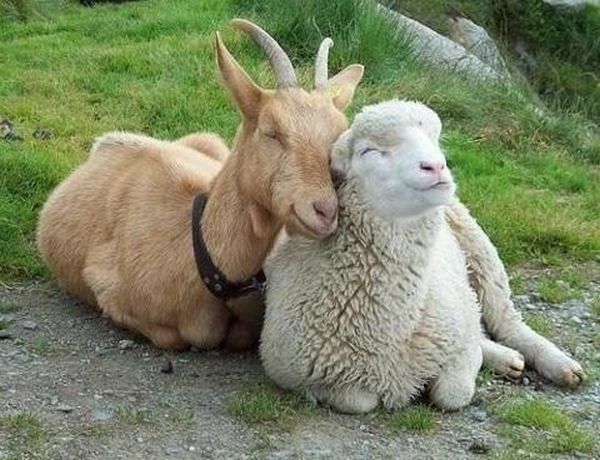 Although sheep are herded in the northwestern grasslands of China, they are far less prevalent than goats. Throughout the rest of East Asia the distinction is clearer: Vietnam celebrates the year of the goat; whereas Japan is emphatically in the sheep camp. However in China, the exact animal varies by region. Here at Ferrebeekeeper it is sheep week, so we are going to go with sheep—but we are going to say “ram” (a horned adult male sheep) so that everyone recognizes we are dealing with a horned caprid of some textual ambiguity. 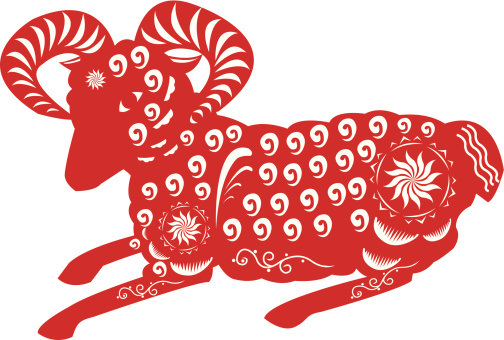 There is an additional problem: in contemporary China the sheep is regarded as one of the worst of all zodiac signs. 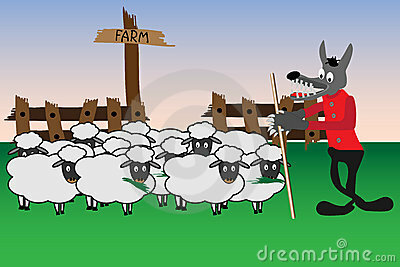 The virtues associated with a sheep personality are not currently en vogue in venal laissez-faire China. People born in the year of the ram are said to be gentle, compassionate, kind-hearted, and artistic. 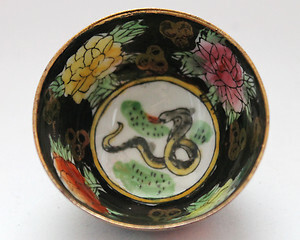 These were not necessarily considered bad attributes in classical China, but in today’s mercenary world of slippery business deals they are equated with weakness. The newspapers are filled with articles foretelling a dearth of newborns in 2015 as expectant mothers skip having babies to wait for more predatory zodiac creatures. Sheep are widely seen to be mild and gentle animals living peacefully in groups…Last year was no easy ride for Hong Kong. Our society was rife with differences and conflicts. In the coming year I hope that all people in Hong Kong will take inspiration from the sheep’s character and pull together in an accommodating manner to work for Hong Kong’s future. The phrasing takes on a particularly sinister bent considering that Leung Chun-ying is universally (and completely unofficially!) known as “the wolf”. His new year’s speech was cartoonishly in keeping with this sobriquet. Politics and zodiac nonsense aside, I would like to speak a word for the rams (who must be feeling uncharacteristically disliked as their year begins). Finding joy in beauty self-evidently means a life filled with joy and beauty (abstracts which blunt shiny business people often are incapable of grasping). Likewise loving people have love in their lives. Speaking of which, I have a sneaking suspicion that there will be just as many babies this year as ever! I hope lunar new year finds you eating dumplings and pomelos with your loved ones. May everyone find kindness, beauty, and peace in the Year of the Ram! It is time to congratulate the Chinese space agency for landing a probe and rover on the moon. The landing was the first “soft landing” (where no equipment is damaged) on the lunar surface in 37 years—so I am also happy that humankind is back on its nearest neighbor. 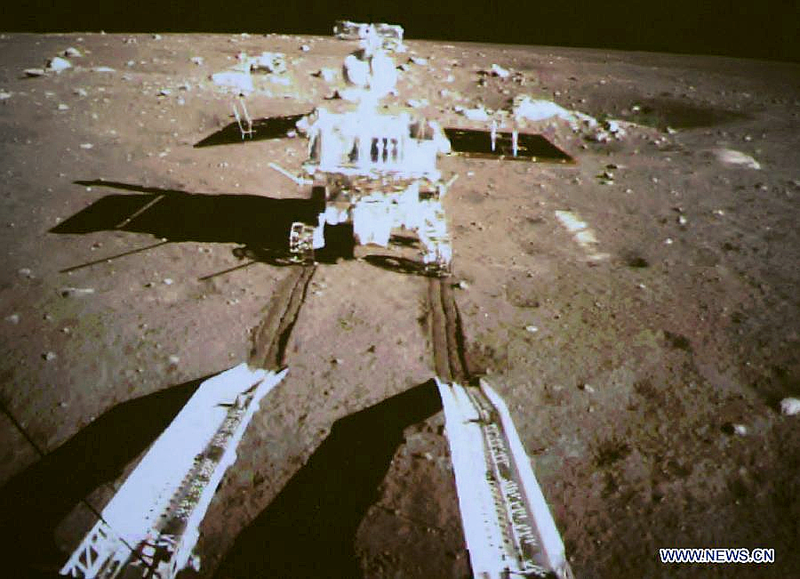 The Chang’e lunar lander touched down on the Bay of Rainbows on Saturday Morning, December 14th (at least in EST). The Jade Rabbit rover successfully drove out onto the arid dust of the flat “bay” a few hours later. Hopefully the Chinese mission will continue to go successfully and the Chinese Space Agency will continue to launch ambitious space missions. With a command economy and authoritarian government, the People’s Republic could pour money into aerospace science and quickly push space exploration forward–much in the way that the Soviet Union did back in the glory days of the space race. Such a challenge would be good for international science, and it would be good to remind our worthless legislators here in the United States to work together to properly fund science, research, and development. 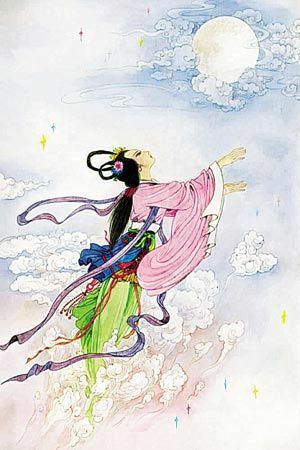 Chang’e is named after the goddess of the moon in classical Chinese myth, but her story is sad and ambiguous. It is a tale open to several different interpretations (which I will write about, but not now). The moon rabbit, also known as the jade rabbit was originally a pet of the lonely moon goddess, however because his story is far less tragic than hers (and because he is a lovable trickster-rabbit), he has become a figure of immense popularity. According to myth he is an apothecary who grinds medicines, spells, and immortality elixirs on behalf of the gods (and for himself–because what trickster doesn’t skim a little?). The jade rabbit shows up everywhere in Chinese myth and culture. He even pops in for cameos in some of the great works of Chinese literature (for example, he is the final antagonist in “Journey to the West” wherein the heroes discover him masquerading as the princess of India!). 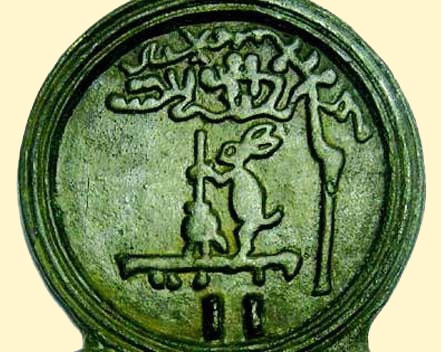 More importantly, in East Asia, it is believed that the stains of the moon are the image of the jade rabbit. Although I have never been able to see the “man on the moon”, the jade rabbit is always there on a bright full moon. I am glad the Chinese space agency named their space probe after this master apothecary and superb trickster! Earth is the only known home of life. For all of humankind’s aspirations and ambitions, we have only succeeded in walking on one other celestial body and putting a few people, rats, and ant colonies in some leaky tin cans in low Earth orbit (I’m sorry to be so brutally honest about Skylab, Mir, and ISS). This is deeply troubling since I believe humankind can only survive and redeem itself by moving into the heavens (although some of my cynical friends worry that we will only be exporting humankind’s problems and appetites wherever we go). Whatever the case, we are not moving very quickly towards the skies. Political gridlock, greed, and a lack of engineering and imagination have kept us from making any real progress at space-steading. So far we have proven to be maladroit stewards who are incapable of bearing life’s luminous seed into space (although we are amassing a nifty robot fleet around the solar system, and, despite our many flaws, we keep learning). This is why I was so excited to see the most recent space exploration news: NASA recently announced that they are teaming up with the mad moguls of Google in a project to grow crops on the moon! The space agency is constructing a tiny (approximately 1 kilogram) capsule to grow a handful of plants on the lunar surface. The little growth capsule with its cargo of air water and seeds will be dropped off on the moon by the Moon Express (a lunar vehicle built by Google in hopes of obtaining the lunar X Prize). Arabidopsis is not exactly a favorite at the supermarket, but it was the first plant to be genetically sequenced and it is used in biology labs everywhere as a model organism. In a pinch though, the basil and turnips might be good for some sort of impromptu Italian farm-style dish. NASA will monitor the seed growth and development from Earth with an eye on how lunar gravity and radiation levels impact the germinating seeds and the growing plants. Admittedly the microfarm is a small step towards colonies beyond Earth, but at least it is a step (and frankly the beginnings of agriculture here on Earth were similarly small and incremental). Or, who knows? Maybe the turnips will climb out of the canister and start dragging their knuckles along the lunar plains and throwing rocks at the Chinese landers. 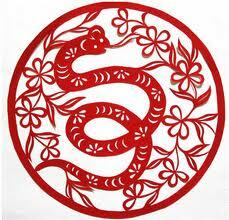 I’m extremely excited that Chinese New Year is here at last! 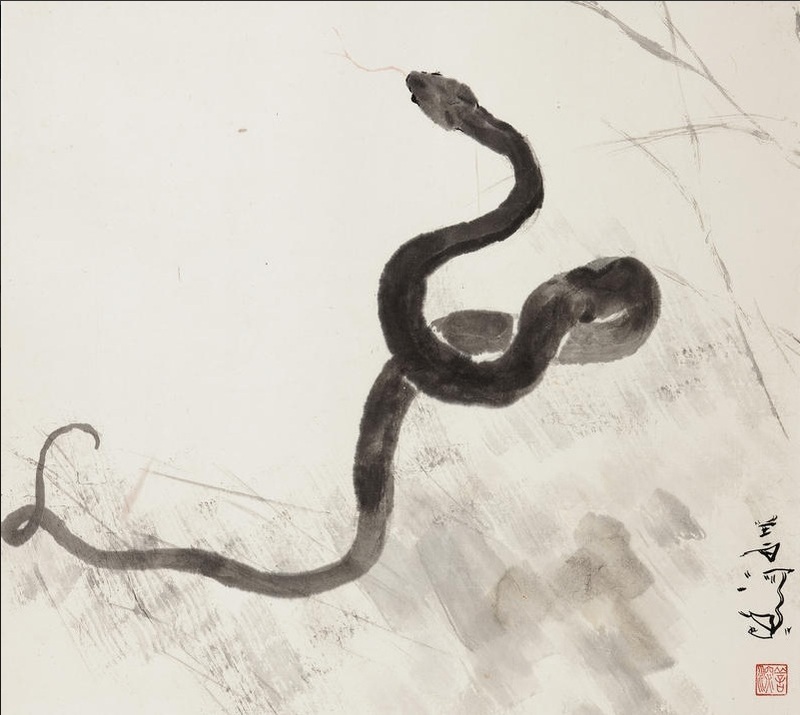 A dozen times I have started to blog about Chinese snake paintings and stopped because I was waiting for the year of the snake—but that finally arrives on Sunday. 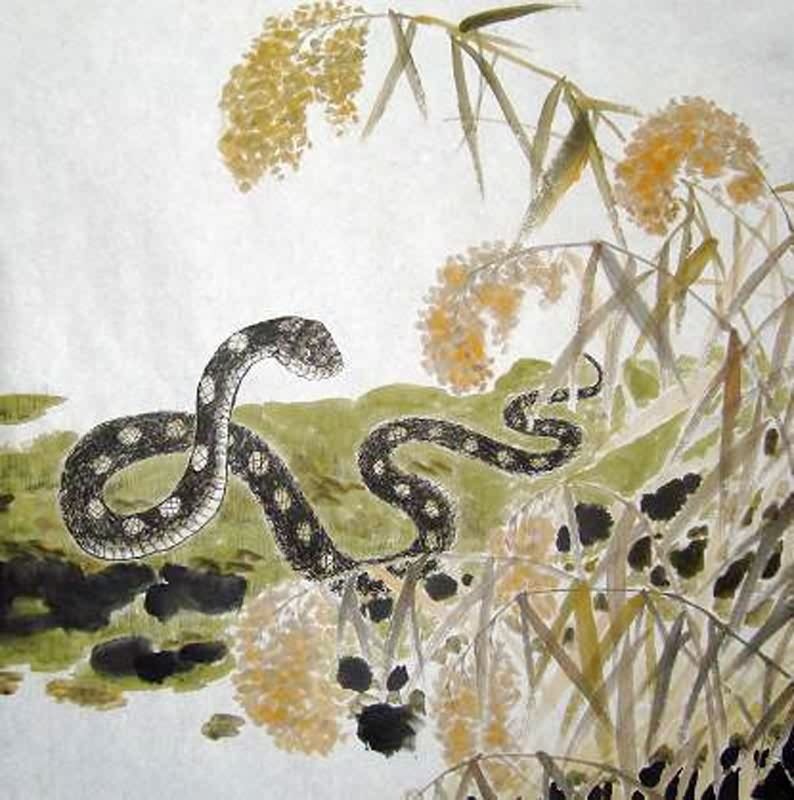 To celebrate the advent of year 4710—the year of the water snake–next week is devoted to snakes and serpents of all kind (a longstanding favorite topic here at Ferrebeekeeper). 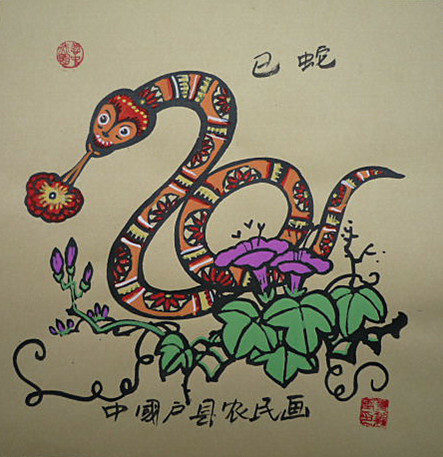 Because they are one of the twelve zodiac animals, snakes have long been celebrated in Chinese art. 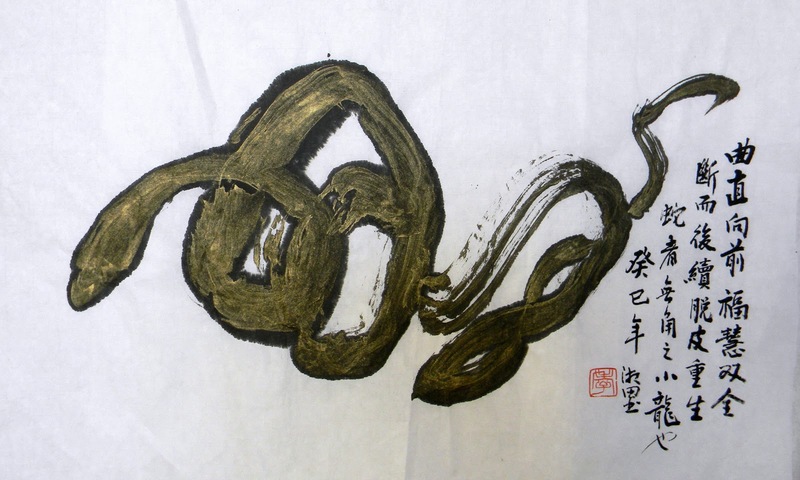 Additionally their sinuous form adapts beautifully to Chinese-style brush and calligraphy work (as is evident in the art works below). 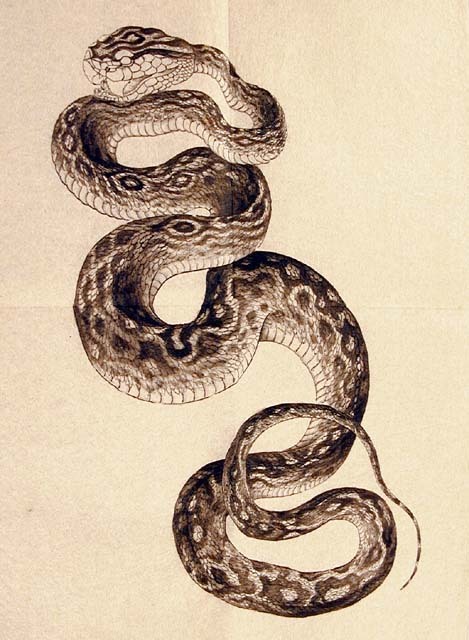 People born in snake years are said to be graceful and reserved. 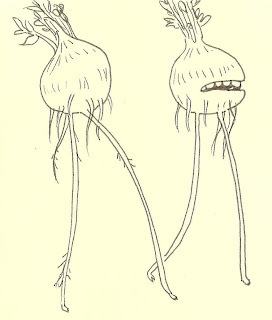 Although they are successful at romance and have an innate intelligence they are also reputed to be materialists with a dark mysterious side. 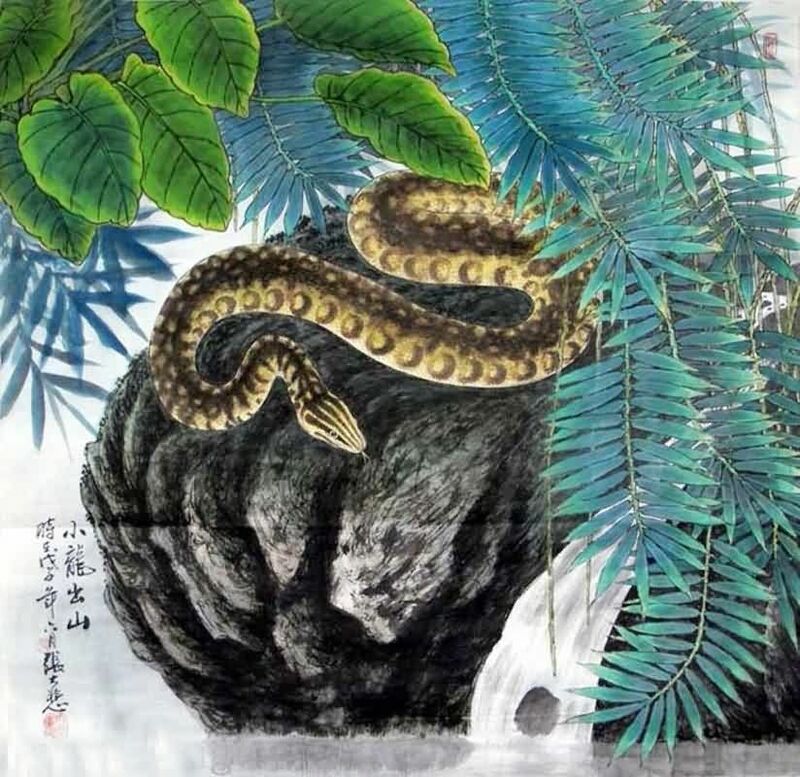 The snake does not suffer the same stigma in China as in the West and the benevolent creator goddess Nuwa was a serpent goddess. 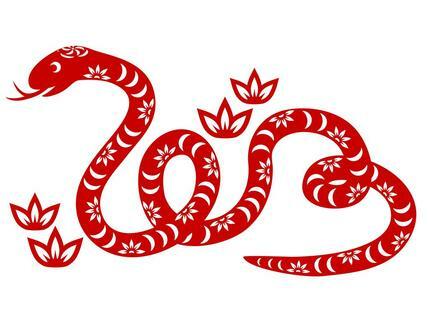 Hopefully the year of the water snake will bring you every sort of happiness and success. Tune in next week as we break in the new year with a variety or remarkable snakes and snake-related topics!